President-elect Donald Trump’s pick for Education Secretary has spent her entire adult life advocating for Common Core, but now she has to pretend like she doesn’t like it. She’s a board member of Jeb Bush’s pro-Common Core think tank, Foundation for Excellence in Education, where she hangs out with prominent Democratic education reformers like Bill Gates and Eli Broad. But she says that somehow doesn’t mean she likes it. 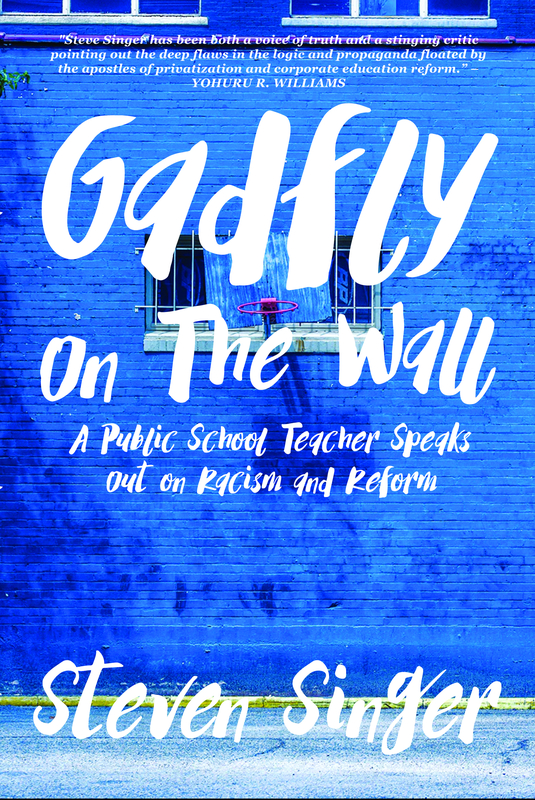 She founded, funds and serves on the board of the Great Lakes Education Project (GLEP), an organization dedicated to the implementation and maintenance of Common Core. But somehow that doesn’t mean she’s for the standards. She’s even spent millions lobbying politicians in her home state of Michigan asking them NOT to repeal Common Core. But somehow that doesn’t mean she’s in favor of it. It must be a hard position to be in. Her entire nomination for Trump’s cabinet is contingent on convincing the public that she hates this thing that he explicitly campaigned against but she favored. Rarely has an education policy been such a political hot potato as Common Core. Typically Republicans hate it and Democrats love it. However, little of this has to with its actual merits – or lack thereof. Common Core is a set of academic standards saying what students should know in each grade. Nonetheless, these standards are deeply unpopular with teachers, students, parents and the general public. Part of this stems from the undemocratic way state legislatures were bribed to enact them by the Obama administration in many cases before they were even done being written and often circumventing the voting process altogether. Other criticisms come from the way the standards were devised almost entirely by standardized test corporations without input from experts in the field like child psychologists and classroom teachers. Finally, the standards get condemnation for what they do to actual classrooms – narrowing the curriculum, promoting excessive test prep, increased paperwork, the purchase of new text and work books and requiring new and more unfair standardized assessments. As a Republican, DeVos must do everything she can to distance herself from this policy. It’s just that her history of advocating for it gets in the way. When she was nominated by Trump, one of the first things she did was publish a statement on her Website explaining how very much she hates Common Core – despite appearances to the contrary. “Have organizations that I have been a part of supported Common Core? Of course. But that’s not my position,” she says on her Website. And it makes perfect sense. How many times have you, yourself, given millions of dollars to a cause that you don’t support? Who hasn’t founded an organization called “I Love Apples” because of your deep hatred for the fruits? It’s kind of like Colonel Sanders admitting that he doesn’t actually approve of people eating fried chicken. Or maybe Milton Hershey supporting a ban on chocolate. Yeah… That’s not going to convince anybody. What DeVos needs is a new narrative, a new story to tell people to convince them that she’s really and truly against Common Core. And at Trump’s victory rally in Grand Rapids, Michigan, on Dec. 9, she tried it out on the crowd. Ah! So it’s not Common Core, per se, that she’s against. She’s against FEDERALIZED Common Core. Shoddy academic standards designed by non-educators are just fine so long as they don’t come from the federal government? Academic standards that are developmentally inappropriate are okay if Big Brother didn’t force you to adopt them? DeVos doesn’t want a world without Common Core. She wants one where the Core isn’t tainted with federalism. If the states somehow magically decided all by themselves that these exact standards were just peachy, that would be fine with her. It’s just that we can’t let the Feds tell us what to do. In my book, that’s still being in favor of Common Core. Moreover, it’s terribly disingenuous because not so long ago, DeVos’ organization, GLEP, was trying to convince people that Common Core actually wasn’t federal at all. In fact, that’s why the organization favors it. Which begs the question – if Common Core isn’t federal, what does DeVos think is wrong with it? It’s all just double speak and spin. In reality, establishment Democrats AND Republicans support Common Core. It’s just regular folks like you and me who hate it. You don’t believe me? Then ask yourself this: in the more than 30 state legislatures controlled by Republicans, why haven’t they repealed Common Core already? Seriously. They could legally get rid of Common Core in more than half of the country tomorrow, but they don’t. Why? Answer: People like DeVos. In Michigan, Republicans control the legislature. When lawmakers were debating if they should implement Common Core in the first place, DeVos and GLEP lobbied to move forward and won. Then in Spring of 2015, lawmakers considered two bills to repeal and replace Common Core. DeVos partnered with Governor Rick Snyder (a Republican) and the Michigan Coalition for Higher Standards to oppose both bills. If that’s not being in favor of Common Core, I don’t know what is. From my point of view, the rest of her educational ideas are little better. She supports school vouchers and increasing charter schools. These are terrible ideas for reasons I have enumerated here and here. But even if you’re in favor of them, imagine what a pro-Common Core Education Secretary could do with a national school choice program. If federal tax dollars are going to follow students to parochial and private schools, DeVos could make adopting Common Core a prerequisite to getting those monies. Certainly she’ll call it something else, but it will be almost the same academic standards, freely chosen, because if you don’t, you won’t get any of this delicious tax money. Don’t forget, this is similar to why we have Common Core in the public schools – we were bribed. That’s what the Department of Education has done for the last few decades. It tries to encourage education policy at the state level by offering tax money if you do its bidding. If the federal government was offering money to do things everyone supports like expanding pre-K programs or after school tutoring, that would be fine. But the federal government has been pushing an agenda on our schools – I think that’s bad no matter which political party does it. Common Core is big business. It has generated obscene profits for the testing and publishing industry. Likewise, school privatization is a great way to get rich – reducing regulations and offering free tax money to any private or charter school operator! It’s manna from heaven for every flim-flam man and con artist from here to Syria. Trump knows something about defrauding students. He ran his own fake business school, Trump University. Just imagine how much money he and DeVos can make for themselves and their billionaire buddies with the education reforms being proposed! And worst of all, at the end of the day we still won’t be rid of Common Core. It will just expand into new markets – I mean, schools. So if you support DeVos, fine. But don’t delude yourself into thinking she’s against Common Core. She still loves it just as much as she ever did. Whether it’s Trump or Hillary, all roads lead back to the same billionaires re-engineering education to their liking. The Podesta emails show a 2014 policy briefing emailed to Hillary by her top education advisor Ann O’Leary included Jeb Bush materials. Trump campaigned against Common Core and now is circling back to his cronies.